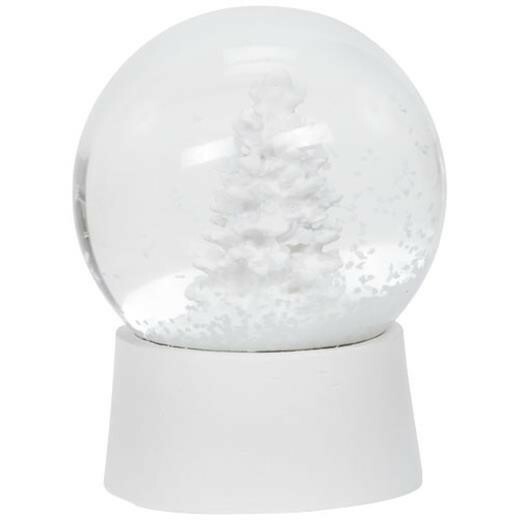 Snow Globe. Snow globe with snow covered pine tree. Shake it to make it snow and experience the holiday spirit. Resin base with glass globe.